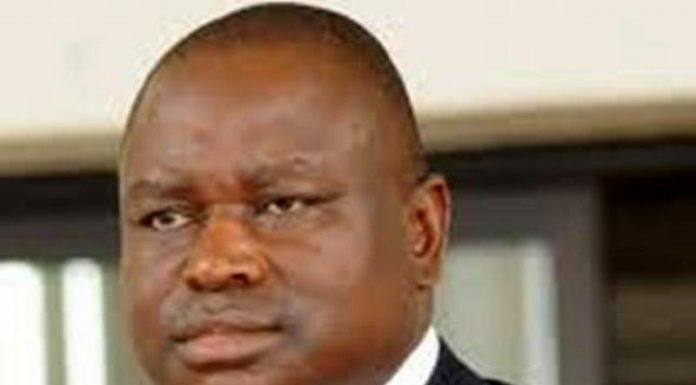 Workers and Traders in Enugu State have described as false, baseless and mischievous, the allegation by governorship candidate of the opposition All Progressives Congress (APC) in Enugu State, Senator Ayogu Eze, that the Peoples Democratic Party was coercing them to submit details of their Permanent Votersâ€™ Cards. Sen. Eze, through his spokesman, Steve Oruruo, had while denying allegations of embezzlement of public funds alleged that â€œthe Enugu workers and traders were being compelled to surrender the particulars of their PVCâ€. But in a swift reaction, the two bodies denied knowledge of such coercion and warned politicians not to use the names of the stateâ€™s workers and traders to play senseless and devious politics. Reacting further, on behalf of the workers, the state chairman of the Trade Union Congress (TUC) of Nigeria, Comrade Igbokwe Chukwuma Igbokwe, said the accusation did not hold water and should be disregarded. His words: â€œNot to the best of my knowledge, there is no medium through which that has happened; to my knowledge, no worker has reported such to me that he is being forced to release any details, and I have not had any meeting or conveyance of any such meeting. Describing it further as â€œlaughable,â€ he said â€œno government takes such decision, it will communicate it through a circular and it will come from the office of the Head of Service and as far as I am concerned, we have not seen a copy of such circular. On the part of the traders, the President-General of the Enugu State Amalgamated Tradersâ€™ Association, Mr. Temple Udeh, who spoke to newsmen, accompanied by other executives representing the three senatorial zones of the state, described the allegation as unfounded, baseless and a diversionary. He said, â€œwe were shocked to hear the false allegation that our members are being forced to surrender their PVC details. We want to say that it is a lie from the pit of hell. There is no iota of truth in it. They donâ€™t know what they are saying; they should not subject traders to their politics of lies. â€œEven the tradersâ€™ grant, courtesy of the Enugu State Government, which has positively affected the lives of traders in the state, there is no condition attached. We have about 100 beneficiaries every month, who win N50,000 each to grow their businesses, and it has been on for the past 3 years, and nobody has been asked to even show evidence of having a PVC. â€œYou would remember that before now, last year, the traders came together and unanimously endorsed the governor for a second term in office; did he demand for our PVCs before we endorsed him? We endorsed him because of his good works. â€œSo, this is a lie of the century. Nobody has ever asked us of PVC. We are just hearing this for the first time. Do we even have a polling booth in the market? So, how are you going to do the maneuvering, let them go and do campaign and win voters not cheap political ideasâ€.